Place chocolate in a double boiler with water simmering in pan below. Add the butter and melt with the chocolate. Add the instant espresso as well. Stir gently while melting but DO NOT get water into your chocolate or the chocolate will seize. When melted, remove from the heat and set the top of your double boiler aside to cool for a moment. As cooling, add the egg yolks and beat until smooth. In a separate bowl, beat the egg whites until they form stiff peaks. Gently fold the egg whites into the chocolate mixture. 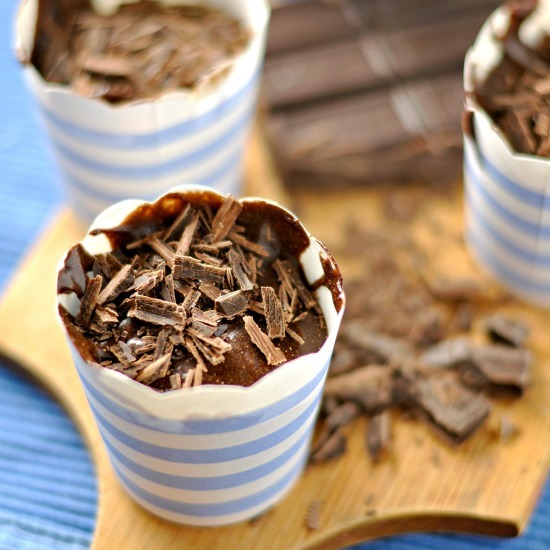 Spoon chocolate into small serving bowls or ramekins. Refridgerate for at least 4 hours before serving. 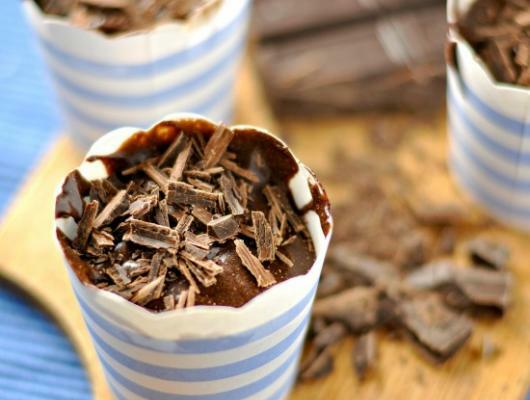 This deliciously rich Mini Chocolate Mousse cup is just the right amount to tickle your sweet tooth without over indulging your belly.